Do You Need Fast, Efficient Shredding Service Right Away? Call A1 DATASHRED today you could be shredding tomorrow. When you need your documents shredded and safely disposed of, then contact A1 DATASHRED. We offer comprehensive document destruction services for both residential and business customers in Brighton MA. You can count on us for fast service, affordable rates, and secure, discreet shredding. We utilize pro-grade equipment that can completely destroy your documents and files. Call us five days a week Monday through Friday. You can get next-day service. If you want a shredding service that you can rely on, then call and speak directly to one of our helpful customer service staff to get a quote and set up your appointment. You can give us the specifics of the job and answer any questions you might have. We’ll go over the services we provide, and you choose the one that’s right for you. We follow up with a straightforward bottom-line quote and then reserve the shredding session. You choose the day and time – Monday through Saturday. To provide you with total convenience, we come to you so that you never have to leave your home or office. On-site shredding allows you to go on with your day or run your business without interruption. Our trucks are reliable. Our large bins are secure and can hold up to 300 pounds. Our heavy-duty shredders can chew up to 6,000 pounds of paper per hour. We transfer the paper into a bin and it is taken too our truck and shredded immediately. You can watch the job as it happens on a screen on the side of the truck.  You’ll get first-rate secure service from seasoned professionals you can trust. One-Time Shredding –You may only require a single or occasional shredding session for the destruction of your business records. If so, we offer a one-time service. We can destroy all of your papers or files once or periodically it’s up to you. Scheduled Shredding – If you need recurring services, then we can customize scheduled shredding for your business. We provide secured locked containers so that you have a designated area to dispose of all your business’ documents. We then come to your office to empty and shred the contents of each container. We’ll come by the office weekly, bi-weekly or monthly. Too often people make the mistake of putting personal papers in the garbage. Identity thieves know that there is a good possibility if the look through the trash they going to find some documents with the information they can use to steal someone’s identity. Shredding prevents this. Our residential shredding service will come to your home and destroy any of the personal papers you want to dispose of. What Can You Expect From A1 DATASHRED? For every ton of paper we shred, we save 17 trees! With A1 DATASHRED, you receive top-tier service while doing your part to be environmentally conscious. If you need your documents professionally destroyed, call us to reserve your shredding appointment today.